Over the last 5 to 7 years, our office has unfortunately seen a steady increase in identity theft relating to US taxpayers accounts with the Internal Revenue Service (IRS). This causes issues with filing tax returns and receiving refunds. One of our clients that is in the IT industry sent us this article about how bad identity theft is with the IRS. We were familiar with some of these issues discussed in the article, but the issues seem to be greater. Thus we recommend you read the article at http://bit.ly/1DBadb5. This article is written by KrebsonSecurity (www.krebsonsecurity.com) which we have been informed is an authority on computer security. In addition to this article, we recommend the following steps. 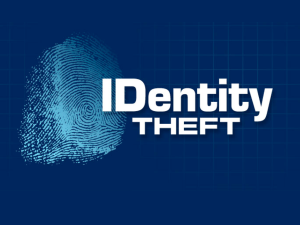 If a taxpayer has any identity theft they should complete IRS form 14039 which can be found at the IRS website at www.irs.gov. This form is a method for the IRS to increase security on your account. Recent identity theft occurrences should prompt a taxpayer to file this IRS form, even if they haven’t had identity theft with the IRS. For example, if you were informed by a large retailer that your information may have been hacked or was hacked and even if you haven’t seen any identity theft issues, you should file IRS form 14039, now! Another way of being alerted that your identity has been compromised with the IRS is when you electronically file your tax return and the IRS computers state the return won’t be accepted because it has already been filed. At this point, we strongly recommend you complete and remit IRS form 14039 quickly. You can speak with your tax preparer for more details, but filing this IRS form creates additional steps for protecting your identity with the IRS. Paying income taxes isn’t fun, and now we may have to deal with identity theft with the IRS. Please contact us if you have any additional questions.